Ed Foster, 83, moved to the 2600 block of Catharine Street from Fairmount more than 60 years ago. Asked about changes in the neighborhood, Foster replied, "Now there are more dogs and less kids!" Devil’s Pocket, the tiny Philadelphia neighborhood near the Schuylkill River in Southwest Center City, is not so much disappearing in the face of development as fading away. Charlie, a 75-year resident of the neighborhood – his entire life - knows why. The boneyard, that’s the reason, he says of the fate of the stubbornly insular enclave. Devil’s Pocket apparently earned its colorful name from a priest who told tough neighborhood teens they were hooligans enough to steal from the devil’s own pocket. The rowhouse community of Devil’s Pocket – exclusively working-class Irish-Americans for decades, not so much anymore – sits in the shadows of the South Street Bridge, adjacent to the larger, but similar, enclave traditionally known as Schuylkill. The neighborhood was the backdrop for "God's Pocket," the celebrated novel by former Philadelphia Daily News columnist Pete Dexter, which was later turned into a movie starring the late Philip Seymour Hoffman. The novel delved deeply into the neighborhood's tough culture. Following a 1981 column Dexter had written about a local drug deal that ended in murder, the columnist was beaten near to death outside a taproom in Schuylkill, though many misremember the location of the beating as Devil’s Pocket, perhaps because of the colorful name and Dexter's book. The Irish bar where Dexter and his friend, boxer Randall “Tex” Cobb, were severely beaten, closed years ago as Schuylkill became more like an extension of trendy Fitler Square. Today, the only shots served at the 24th and Lombard location where Dexter was beaten are espresso. The former shot-and-beer taproom is a coffee bar that also sells designer ice cream. Devil’s Pocket apparently got its colorful name from a priest who told the tough neighborhood teens who once peopled the community that they were hooligans enough to steal from the devil’s own pocket. The community took to the name as a badge of honor. Together, the Pocket and Schuylkill areas are also referred to – at least by the diverse new arrivals who outnumber traditional residents - as South of South or, due to a long-gone institution, Graduate Hospital, or gaggingly, G-Ho. 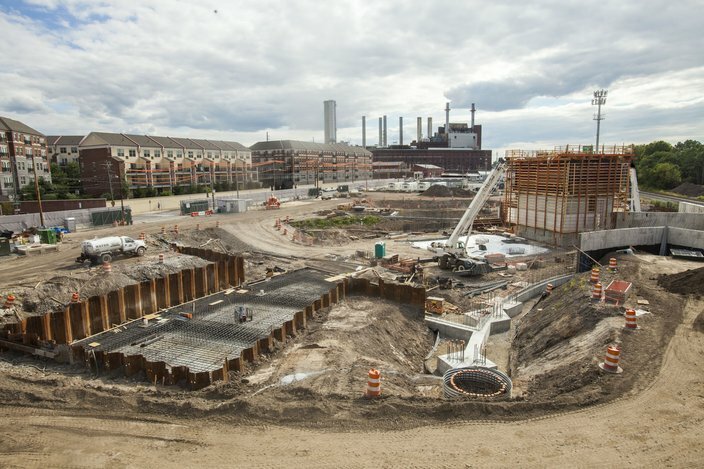 The Pocket and Schuylkill communities bump up against a gigantic expansion of Children’s Hospital of Philadelphia growing between Schuylkill Avenue and the namesake river. While now partially masked by fencing and the natural slope of the land as it runs down to the river, the CHOP project will eventually add a staggering 736,000 gross square foot of commercial space to the Pocket, a postage stamp of a neighborhood. When the CHOP build-out is completed in 2017, there will be offices, a research center, and parking garage on the site. It will be as if the medical behemoths crowding University City have crossed the Rubicon known as the Schuylkill. 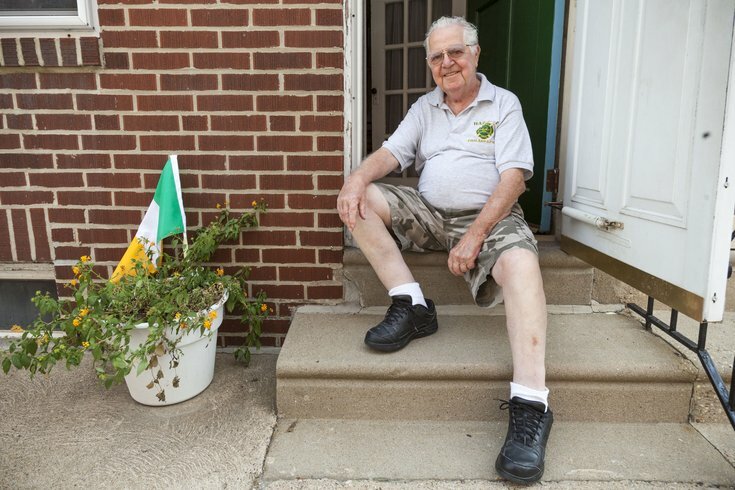 Charlie, who has lived in the same house since 1960 and just a few blocks away before then, tells PhillyVoice the cemetery – “the boneyard” he repeats more than once with a sly leprechaun grin – has claimed most of his neighbors. Death is what has most changed the Pocket, he says, not the increasing development some have fretted about. “I’ve seen no effect from the hospital,” he says one recent Saturday morning as he stands on the stoop of the tidy house where he lives with his sister. It’s not ongoing gentrification that changed the Pocket, adds Charlie, who true to the stubborn and insular nature of his upbringing, declines to have his last name in a story, lest it bring him too much attention. Nor is it the recently increased taxes. And neither is it the growing real estate demand, though they are all factors that affect the tiny community, making it less likely for a traditional resident of the Pocket to pass down a home to a new generation. No, the reason the Pocket, as traditional residents refer to their slice of the city bounded by Christian Street, Taney Street, Grays Ferry Avenue and grounds of the former Naval Asylum, is fading away is simpler. It’s old age, death and children leaving instead of staying. Rather than being squeezed out of existence, the Pocket ... is simply dying off. A septuagenarian neighbor of Charlie’s, who lives in what once was her parents’ home, says the neighborhood began changing years ago. In fact, Charlie says the neighborhood began changing as far back as the late 1960s as nearby blue-collar and industrial jobs went away. Change in the neighborhoods accelerated when the derelict Naval Asylum was converted into luxury housing a decade ago and professionals with no ties to the area moved in. Now there’s a Thai restaurant on a prominent street corner, instead of a traditional taproom. These days, newcomers are trying to learn the art of parallel parking in oversized Mercedes on the undersized streets of the Pocket. And not doing a very good job, Charlie notes with an eye roll that is equally amusing and disdainful. “He’s not from here,” sniffs Charlie as he watches a man in a Mercedes licensed in Delaware struggle to park on a narrow street before giving up and parking illegally in a rare empty lot one street over. Realtor Stephen Mazza, who was showing the man in the Mercedes a home that is for sale, says he’s sold six homes in the area in the past two years. And, as Charlie says, none of them are "from around here." 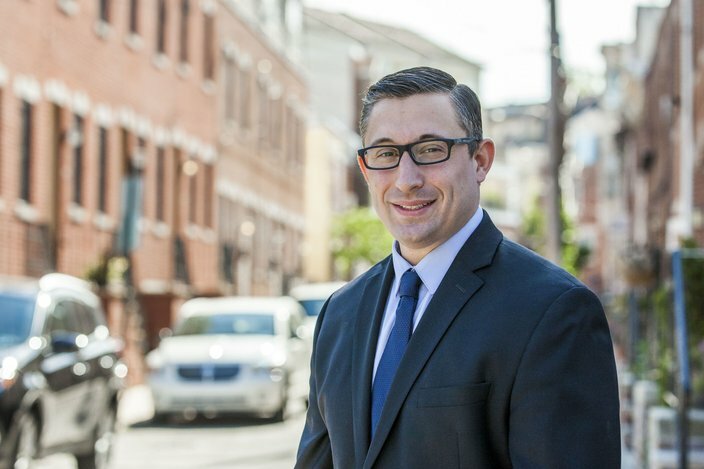 “All of my clients came from outside Philly,” he says, drawn to the Pocket by a nearness to Center City, yet a quiet and tight neighborhood. That was the appeal for Claire Guth, the CEO of an Internet-based company, when she moved to Devil's Pocket four years ago. When she moved in, her 70-year-old neighbor, a traditional Irish-American resident, gave her a “forever plant,” that she said was at least seven decades old, a pass-along through generations. Now Guth has a two-year-old son, a non-traditional native of the Pocket who likes watching the ongoing construction at the the CHOP site. Steve Lucas, 26, moved in 18 months ago, drawn by the location, the quiet and friendly neighbors. “I’d heard the name, Devil's Pocket, but it is more a name than something that describes the community,” says Lucas. Charlie knows neither Guth nor Lucas though they live nearby and often walk by his house. Despite the changes to Devil’s Pocket, he has plans to stay put as long as he is alive. “I like it here,” he says, shaking my hand and watching neighbors he no longer knows walk on by.